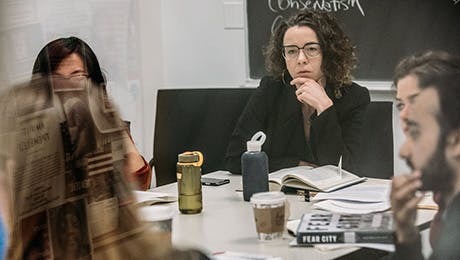 The Robert L. Heilbroner Center for Capitalism Studies brings together faculty and students for interdisciplinary conversations around theoretical approaches to — and analytic methods for — the study of capitalism in its myriad forms. Affiliated faculty and students share a commitment to critical thought, ethical reflection, and real-world relevance in their research. 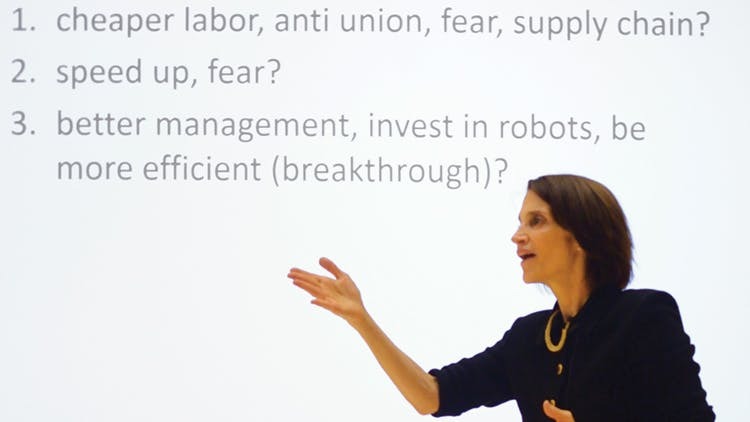 Our graduate and undergraduate courses examine the basic logic of capitalism (as conceived by a range of theorists), its culturally and historically specific varieties, and its ability to structure our political possibilities and creative endeavors. The Heilbroner Center aims to employ interdisciplinary research and teaching to develop and promote theoretical and analytic tools that can help us envision and instantiate different and better economies — local and global — for the future. For more information, visit the Heilbroner Center for Capitalism Studies website.